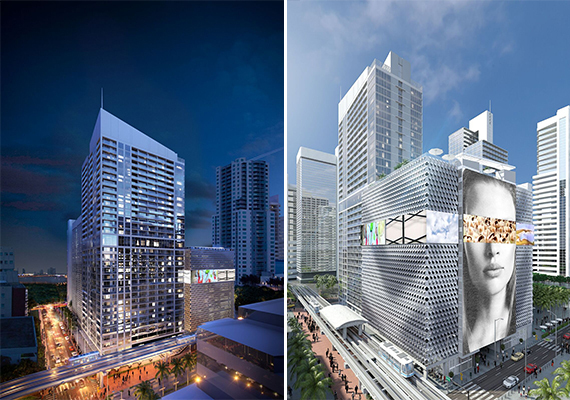 New York-based Property Markets Group has closed on $110 million construction financing for the apartment component of its 300 Biscayne development. PMG principal Ryan Shear told The Real Deal earlier this week the developer was set to close on the financing, which breaks down to $80 million from Centennial Bank and $30 million of a preferred equity investment from Square Mile Capital. The New York-style apartment building, which was tentatively named Vice, will have 464 units and will be “jammed with amenities.” Shear said it will offer about 60,000 square feet of amenities, including a double-decker pool deck and a gym that spans up to 7,000 square feet. Units will offer techy features like in-unit speakers – so that music on your phone connects automatically when you step into your apartment – and Apple TV. Shear said PMG will likely partner with a brand for the apartment tower at 243 Northeast Third Street. Eric McGlynn, Kevin O’Grady and Daniel Sheehan of Cohen Financial secured financing for the closing with Steven Fischler of SRF Ventures. Shear, Matt Ellish, and Evan Schapiro of PMG led the deal with the assistance of attorneys Luis Flores and Rebecca Sarelson of Arnstein & Lehr. Property records show that PMG Downtown Developers LLC paid $80 million or about $900 per square foot for the 88,800-square-foot site in November 2014. The apartment land accounts for $22 million of that deal, a spokesperson confirmed to TRD. The developer, led by Kevin Maloney, is partnering with Greybrook Securities and Greybrook Realty Partners on the luxury condo component of 300 Biscayne Boulevard. PMG has held off on announcing plans for condo component.